For on-farm grain storage, Brock's broad line of wide-corrugation and narrow-corrugation bin choices helps you to get the right grain storage bin for the job. BROCK® Bin size choices range from 15 to 54 feet (4.6 to 16.5 m) in diameter and capacities up to nearly 71,000 bushels (2,360 m³) for the largest farm bin. Brock has a world-wide reputation as the leader you can trust to provide reliable on-farm storage that allows growers to preserve and market their grain when they are ready. BROCK SOLID™ is our guarantee of trusted reliability you can count on day in and day out. It's unmistakable quality, built to last year after year. And it's the same guarantee we founded the company on back in 1957. 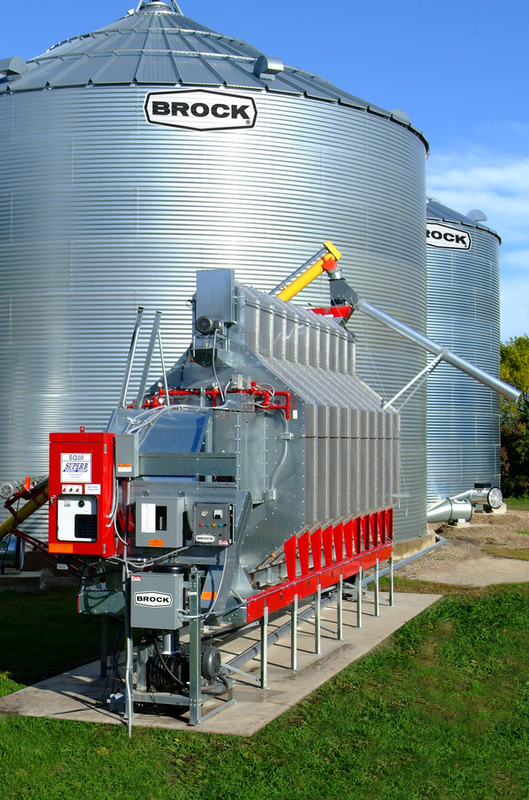 Whether your storage system consists of a couple of non-stiffened bins with an auger or an integrated drying, handling and storage system, BROCK® Bins are the right choice for the job. BROCK SOLID means you can depend on them. Times may change but our solid values are stronger than ever. More models and choices – from 15- to 54-foot (4.6- to 16.5-m) diameter bins with a maximum storage capacity of nearly 71,000 bushels (2,360 m³). No matter how sophisticated your grain system becomes in the future, the core of that system will always be the bin. Contact us or your professional Brock dealer to learn more about industry-leading systems from Brock – the leader you can rely on. BROCK SOLID™ – offering you the quality you've come to expect and the trusted integrity you deserve.